CD3 MKII Digital Transport CD Player The CD3 has been a remarkable success since its introduction two years ago, clearly Lector CD. Circuiteria de grado audiofilo. Mando a distancia. 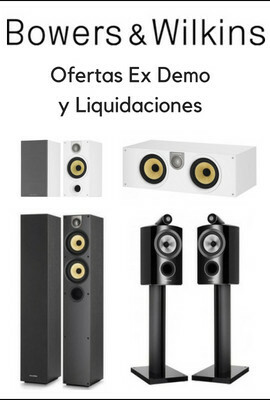 Salidas audio RCA/XLR. Carga superior. Excelente calidad de sonido. demonstrating how much musical information is buried in compact discs. In the face of emerging formats, the CD3 has proved that the billions of redbook discs in circulation remain vital in high resolution music systems. So why change such a good thing? Because the MKII retains the inherent musicality of the original while delivering even higher resolution and lower distortion, along with a new, more elegant remote control. Functionally, the CD3 MKII remains unchanged. The new remote control is a little wider than our preamplifier remotes while offering the same soft textured finish, silver underlay, and ease of use. Sonically the MKII simply refines the wonderful presentation of the CD3. What will you notice? Higher resolution with reduced distortion, a lower noise floor, and increased micro and macrodynamics. The translation? Lyrics have greater intelligibility. Instruments are better focused in a more spacious and airy soundstage. When things get loud everything hangs together, without glare or harshness, because distortions that crept in previously are now absent. Music simply breathes more freely and with greater authority. How did we do it? The advancements were made through the careful application of proprietary electrical, mechanical and optical modifications and treatments. In total there are 45 parts changes and additions. The MKII update will be available to original units as a factory upgrade. The update is very labor intensive, requiring complete disassembly, which makes it impossible to perform in the field. Please contact Audio Research Customer Service to schedule an update. -------------------------------------------------------------------------------- PREVIOUS INFORMATION ON THE CD3 Many, many of you have been waiting for a successor to the best-selling CD2 player-transport, which received acclaim from audio reviewers around the globe, as well as a Class A rating in Stereophile Magazine. Your patience is about to be rewarded in spectacular fashion with the new CD3 combination player-transport. In one neatly engineered, ergonomically simple chassis you have a CD player that easily outperforms our previous flagship two-box system, the CD2/DAC3MKII (which combined were U.S.$7990, plus digital interlink). Once you use it and hear it, you will realize the tremendous value the CD3 represents to any music lover with a treasured CD collection. What sets the CD3 apart from the so-called "combination" players on the market - whether DVD or SACD based -- is that the CD3 is designed to do one thing superbly: that is, to play back normal "redbook" music CDs, CD-R and CD-RW discs with maximum fidelity and full musical expression. The CD3 will not play back DVD video, DVD audio or SACD-only discs because it is our firm belief that the convenience of multi-format playback sacrifices sonic performance in the CD format. And, most customers and music lovers have extensive CD-based collections that continue to grow, so the priority on playback quality in this format, in our view, is eminently justified. While using the latest 24/192-capable Crystal DAC, the CD3 does not upsample, because our empirical research shows sonic compromise is unavoidable due to sample rate manipulation and approximating errors. The engineering focus of the CD3 is to maximize performance with the prevailing music format by keeping the overall player design simple, reliable and optimized for the one task it must accomplish. To this end, all the components used in the CD3 have been carefully selected and in many cases refined for best performance. The laser mechanism is Philips' best cast-metal Pro 2 model, mounted to a massive machined base for maximum rigidity and lowest jitter. The top-loading, sliding access door is smooth and ergonomically elegant, allowing installation in equipment racks between shelves. The Crystal Semiconductor 24/192 DAC was chosen for its resolution and musicality when matched with our fully differential, Class A J-FET analog output stage. Massive regulated power supplies -- using industry-leading capacitors for both bulk supplies and bypass components and damping techniques of a proprietary nature have been used to extend the CD3's remarkable range of performance characteristics. Primary control functions of the CD3 are accessible by buttons on the front panel and by the handheld remote control, which also has additional capabilities. What was the drawer front on the CD2 is now the CD3 function buttons. The CD3 also has a Standby mode like the CD2, so it is kept ready for maximum sonic performance. Digital outputs include AES/EBU (BAL) and SPIF coaxial (BNC), while analog outputs include both SE and BAL. The included power cord is a grounded three-pin 14-gauge cord with detachable IEC connector. Since the CD3 is a top-loading design, a proprietary, self-centering magnetic clamp is included. And perform it does, on any music you want to throw at it. The CD3 will impress you with its effortless, natural and liquid presentation. Dynamics are shocking when called for, yet nuanced and supple. Soundstage architecture and image focus are the best we have heard from a digital source. The purity, air and presence of the musical event are retrieved to a degree many didn't think possible within the CD format. The resolution of detail is carried well beyond the CD2/DAC3MKII level, yet importantly the music retains its coherence and natural flow. This truly is the most natural and involving CD player we have ever experienced - and we believe your conclusion will be the same. While not inexpensive, the CD3 represents a remarkable value that will prove to be accessible to many, many music lovers. Again: our engineering investment has been concentrated on refining musical performance and mechanical integrity within the dominant recording format - a sensible approach in this era of so many competing technologies. There is yet untapped life in the redbook CD format, and the CD3 will help you discover it. Control Functions: Front panel -- Previous, Play, Next, Pause, Stop, Standby. these and additional functions addressable with handheld remote. Inputs: None. Outputs: Analog BAL, SE R&L: Digital Coax, AES-EBU CD3 Specifications: OUTPUTS, ANALOG: (Stereo) Balanced XLR 5.4V RMS (+14.6dBv) max. Single-Ended RCA 2.7V RMS (+8.6dBv) max. OUTPUT IMPEDANCE: (Analog) 400 ohms BAL, 200 ohms SE. 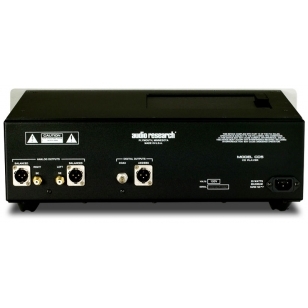 FREQUENCY RESPONSE: 0.5-20,000Hz ± +0 -.1dB. SIGNAL TO NOISE RATIO: 96dBA DISTORTION: -.025% 1kHz RESOLUTION: 24 BIT DELTA-SIGMA DAC. CHANNEL SEPARATION: 92dB 1kHz. 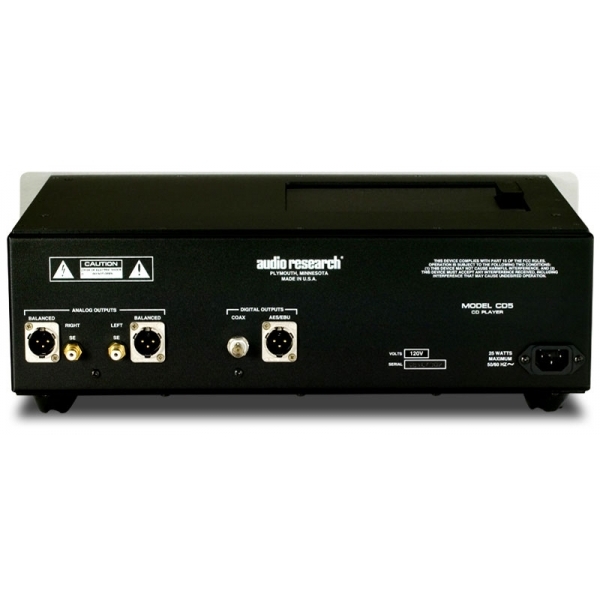 OUTPUTS, DIGITAL: (to external Digital-to-Analog Converter) XLR Balanced AES/EBU 110-ohm 4V P-P. BNC coax SPDIF 75-ohm 0.7V P-P. SIGNAL FORMAT (disc): Sampling frequency: 44.1kHz. Quantization Bit: 16bit linear per channel. Channel bit rate: 4.3218Mb/sec. Channel modulation code: EFM (8 -14 modulation). Error correction: CIRC (cross interleave Reed Solomon Code). DRIVE MECHANISM: Wow & Flutter: Unmeasureable (Quartz stability). Discs: Accepts 5" (12cm) and 3" (8cm) sizes. OPTICAL PICKUP: Type: 3-beam LDGU (Laser Diode & Grating Unit), with holographic diffraction light pen. Laser: GaAIAs semiconductor, 780nm, 0.5mW maximum output. Servo: Digitally-controlled low-inertia linear positioning actuator. JITTER REDUCTION: High-stabillity crystal-controlled re-clocking for all outputs. DISPLAY: Six-digit vacuum fluorescent, with optical filter. POWER REQUIREMENTS: (detachable power cord): 100-135VAC 60Hz (200-270VAC 50/60Hz), 40 watts maximum. (26 watts standby) COMPLIANCE: RF Interference complies with FCC and CE MARK. FRONT PANEL CONTROL FUNCTIONS: STANDBY - operate/standby mode PAUSE program STOP disc PLAY disc PREV selection NEXT selection INFRARED REMOTE CONTROL FUNCTIONS: (Standard RC5 code, 30ft max distance) 0-9 digit entry keys SCAN 10 seconds each track PAUSE program REP track/disc STOP program PLAY disc SHUF random sequence play STBY operate/standby mode PROG enters selction TIME elapsed, remaining track; remaining disk A/B repeats segment Previous track Next track DIMENSIONS: 19" (48 cm) W x 5.25" (13.4 cm) H x 12.25" (31.1 cm) D. Handles extend 1.50" (3.8 cm) forward of the front panel. Rear connectors extend .75" (1.9 cm). WEIGHT: 25 lbs. (11.4 kg) Net; 35 lbs. (15.9 kg) Shipping. Specifications subject to change without notice.